Rare, ranch style home located in prestigious Dayton Farms within easy walking distance to Cherry Creek Schools and places of worship.Loaded with recent renovations including updated master retreat, new tile roof, many new windows, new gutters, new furnace, air conditioner & hot water heater. This home is flooded with light due to its spacious, open floor plan. The newly renovated master retreat has a private sitting room and a new, spa inspired, bath with heated floors, jetted tub & huge shower. There is plenty of privacy for all with each of the lower level bedrooms having its own private bath. The lower level is an entertainers delight from its large family room to the game room complete with a kegerator and fully equipped wet bar with microwave, DW and beverage refrigerator. 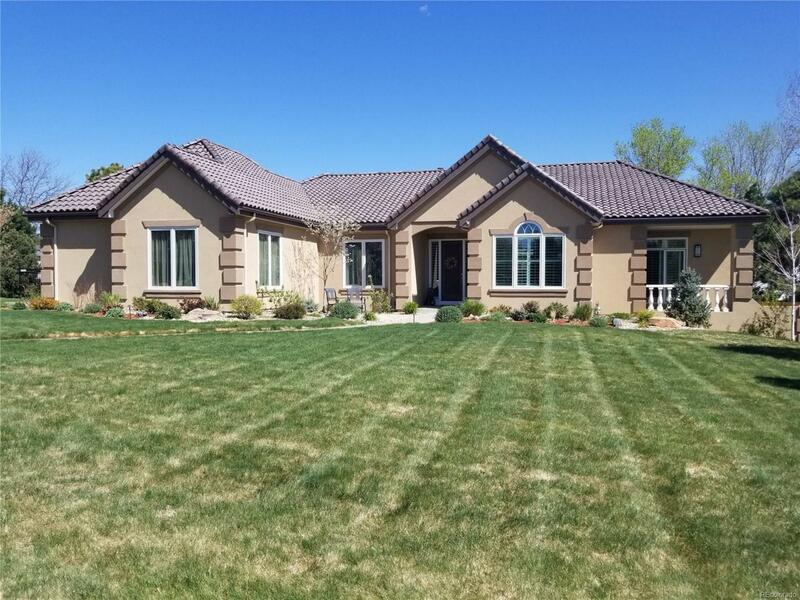 Dayton Farms is an intimate neighborhood with only 34 homes featuring mature landscaping, 2 parks, as well as ready access to Cherry Creek State Park trails and I-225.